BRUTAL from Eveest Aromas. A combination of the most powerful ingredients and the new Mega Pellet for even longer freshness and potency. Get a lot of vapor with the large opening. Isoamyl Nitrite. Unbreakable aluminum bottle. 30 ml. 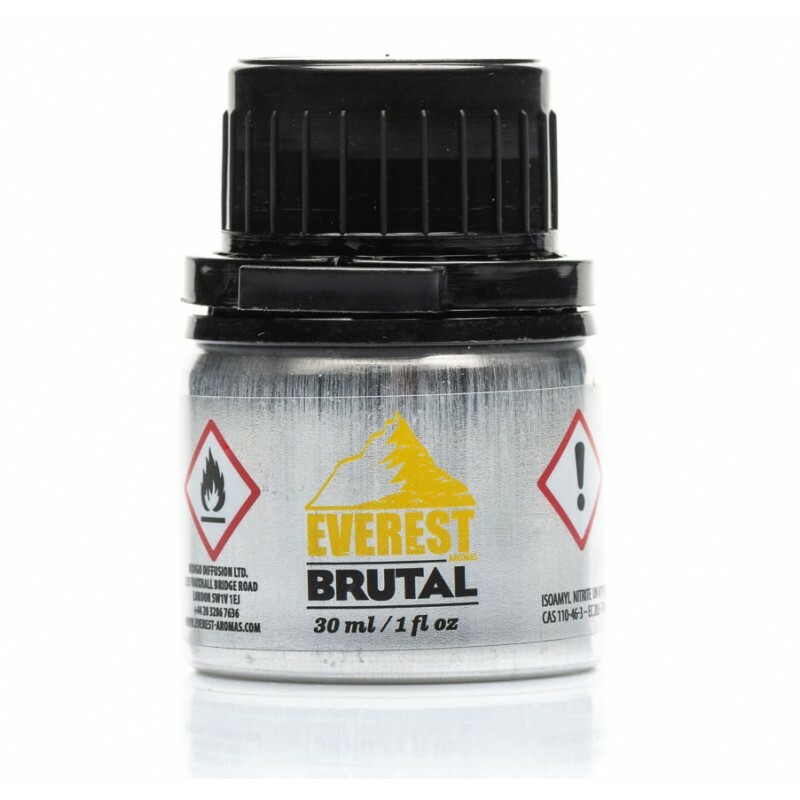 Get high with Brutal from Everest Aromas. The air pressure can damage the bottle of Brutal Everest, which is why we are not ship them outside the European Union. With its broad opening you can let it diffuse its aromas and benefit from it with partners. Let the rise come to you to reach the Everest ! The air pressure can damage the bottle of Brutal Everest, which is why we are not ship them outside the European Union. If you buy them despite our recommendations, and these bottles are damaged we will not refund for these bottles.